India tested an anti-satellite weapon on Wednesday, saying the indigenously produced interceptor was used to destroy an object in orbit. Such a weapon allows for attacks on enemy satellites - blinding them or disrupting communications - as well as providing a technology base for intercepting ballistic missiles. The United States performed the first anti-satellite tests in 1959, when satellites themselves were rare and new. Bold Orion, designed as a nuclear-tipped ballistic missile re-purposed to attack satellites, was launched from a bomber and passed close enough to the Explorer 6 satellite for it to have been destroyed if the missile had been armed. Then in 2007, China entered the anti-satellite arena by destroying an old weather satellite in a high, polar orbit. The test created the largest orbital debris cloud in history, with more than 3,000 objects, according to the Secure World Foundation, a group that advocates sustainable and peaceful uses of outer space. The next year, the United States carried out Operation Burnt Frost, using a ship-launched SM-3 missile to destroy a defunct spy satellite. Debris from anti-satellite tests can create problems for other satellites and spacecraft in orbit, as tiny bits of junk whiz through space many times faster than a rifle bullet. The International Space Station, for example, regularly tweaks its orbit to avoid debris of all kinds. China's 2007 test is considered the most destructive. Because the impact took place at an altitude of more than 800 km (500 miles), many of the resulting scraps stayed in orbit. The US test in 2008 did not create as much orbital debris, and because it was at a lower altitude, atmospheric drag caused much of it to fall toward Earth and burn up. India's foreign ministry said in a statement that its test was done in the lower atmosphere to ensure there was no debris in space and that whatever was left would "decay and fall back onto the earth within weeks". The US Strategic Command, which tracks objects in orbit for the US military, had no immediate comment on Wednesday's test. Destroying an enemy's satellites, which can provide crucial intelligence and communications in war, is considered an advanced capability. 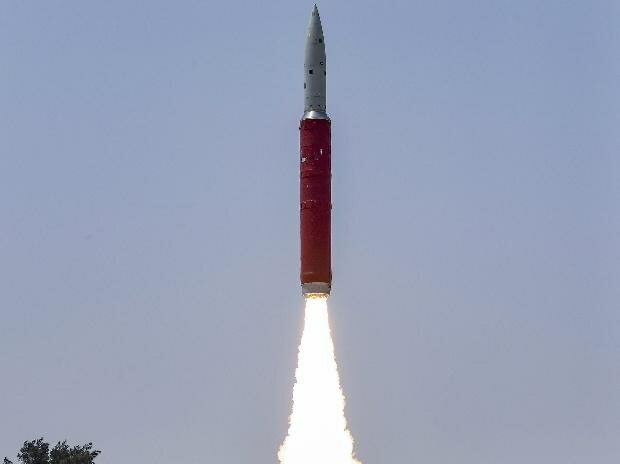 With the successful test on Wednesday, India theoretically holds other countries' satellites at risk. But China, which put dozens of satellites in orbit in 2018 alone, according to state media, could see India's fledgling capability as more of a threat. India needed to build anti-satellite weapons "because adversary China has already done it in 2007," said Ajay Lele, senior fellow at the Institute for Defence Studies and Analyses.